How fun to have been nominated for this award! I have been super sick...so it took me a few days to start posting on my blog. Yucky germs=yucky bug! Thanks to Mrs. Sprigg's at Mrs. Sprigg's Kindergarten Pond for the nomination!!!! The Liebster Award is a way for newer bloggers (with less than 200 followers) who have great content, to link up, meet other bloggers, and share a little bit about themselves. Well, I last summer, I started to use some of my time surfing the net. I started looking at blogs and seeing how many great ideas there were out there on these sites. I also noticed that there weren't a lot of blogs that focused on Science. Being a K-5 Science teacher, I figured...why not give it a try. My birthday is in September, I paid for someone to help me create a fun science blog...I tried myself first, but yikes it was ugly and those codes...I don't really get it. I also found TPT at the same time I discovered blogging...which is when I was sending my oldest daughter onto college. 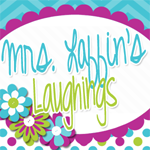 Blogging, creating TPT items...both have made me a better teacher and connecting to other teachers is a true blessing! Reflecting. As a teacher in Wisconsin, we are under a new observation plan...teacher effectiveness is the name of the game. As I connect to other teachers and their great ideas, I am able to reflect on my own teaching and learn and grow even after 23 years of teaching. Reflecting is essential to growing as a teacher. It makes us better, allows us to grow, and that helps our students in their academic development. Oh...My...Gosh...Yes! When you first start blogging, it feels like you are talking to no one. You wonder if the time and energy is worth it. As you connect with other bloggers that post faithfully, have great products, and have a large number of followers to boot...you learn how to hop...download freebies...and linkies are a blast! It allows us to learn from our peers. How great is that. I continue to take ideas and strategies from anyone willing to share. What talented teachers...it makes me want to better myself in the process. I love making TPT products. I find it therapy. I sit in a quiet spot...away from the busy, hustle and bustle of my life. I take my FOSS lessons and figure how I can help the classroom teachers I works with and make them activities so that they can incorporate more science into their school day! Okay...so I also love when I can just sit and talk with my kids when life slows down! Pinterest is also pretty addicting! It depends on the week. Sometimes, I have way to much to do to get ready for the week...sometimes, I am so busy with my own children, but I try to at least post 1-3 times per week. I wish I had more time, but I really like making products so some time is devoted per week to that. I love finding great science ideas and freebies. I teach Science! I also love finding ideas for the teachers I work with, too! All things science, school gardens, and reflecting on my lessons and the ideas I find that will help them better. I also love to post the resources that I use so that I can find them next time around! I love my farm to school grant posts because they allow teachers that also grow gardens to link up and find freebies and ideas for their garden. It has allowed our school to get recognition and grant money in the process. Congratulations on your award! I love your colorful blog - you're doing a great job! Hope you're feeling better!